Yves here. You cannot make this stuff up. One of the sorriest chapters in recent American history was how we allowed an unprecedented opportunity to assist Russia in managing the end of its Communist era to turn into a looting exercise by well-placed insiders, including advisors under contract to Harvard. If you are unfamiliar with this fiasco, which was also the true proximate cause of Larry Summers’ ouster from Harvard, you must read an extraordinary expose, How Harvard Lost Russia, from Institutional Investor. I am told copies of this article were stuffed in every Harvard faculty member’s inbox the day Summers got a vote of no confidence and resigned shortly thereafter. Jonathan Hay ran the day-to-day operations of the Russia Project. He was found guilty of violating three counts of the False Claims Act and was debarred from serving in USAID. But he’s managed to resurface in Ukraine, working in the local operations of a Polish think tank. Nicely played. There are about 450 think-tanks in Europe and the US currently focusing on international relations, war, peace, and economic security. Of these, about one hundred regularly analyse Russian affairs. And of these, less than ten aren’t committed antagonists of Russia. That’s barely two percent of the intellectual materiel which can be counted as non-partisan or neutral in the infowar now underway between the NATO alliance and Russia. In this balance of forces, think-tanks behave like tanks – that’s the weapon, not the cistern. CASE Ukraine is a branch of this Polish think-tank, and at the same time a descendant, it claims, of a Harvard University-funded group which was active between 1996 and 1999. Registered since 1999 as CASE Ukraine, this calls itself “an independent Ukrainian NGO specializing in economic research, macroeconomic policy analysis and forecasting.” According to parent CASE in Warsaw, one of the group’s goals is “promoting cooperation and integration with the neighboring partners of Europe”. This means, not only CASE Ukraine, but CASE Kyrgyzstan, CASE Moldova, CASE Georgia, and in Russia, the Gaidar Institute for Economic Policy. Independent is what CASE swears; independent isn’t what CASE represents. Investigate the names, the associations, the sources of money, the secret service engagements, and what you have is a family, a front, a cover, a closed shop, a mafia. Founders of CASE Ukraine like the American Jonathan Hay and operators of CASE Poland like the Balcerowiz family reveal a well-known anti-Russian alliance. So what are a director of the Gazprom board, Vladimir Mau; a professor of the Higher School of Economics in Moscow, Marek Dabrowski; and Simeon Djankov, Rector of the New Economic School in Moscow, and a protégé of First Deputy Prime Minister Igor Shuvalov, doing on the CASE side? 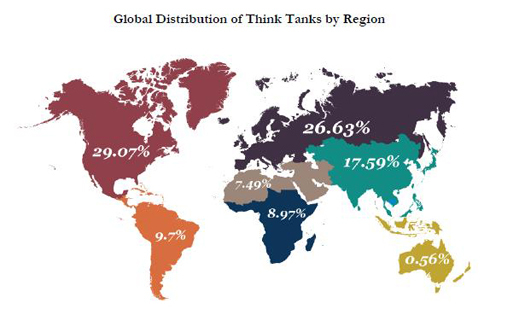 The latest US survey of the think-tanks in the world counted 6,826 in all as of August 2013. One-quarter (1,828) of those is located in the US; 426 in China; 287 in the UK; 194 in Germany; and 122 in Russia. In a perverse ranking, the only Russian think-tank, so called, to make it to the top 20 of the non-American batch, according to a panel of experts employed by the Think Tanks and Civil Societies Program (TTCSP) of the University of Pennsylvania, isn’t Russian at all. It’s the US-funded and directed Carnegie Moscow Centre (ranking 18th). At the 46th rank is the first genuine Russian think-tank – the Institute of World Economy and International Relations (IMEMO) in Moscow. When US think-tanks are counted, along with the non-American ones, Carnegie Moscow slips to 28th; IMEMO rises to 32nd. CASE ranks at the modest 58th peg of the non-American batch; 68th when the Americans are included. It does much better when ranked geographically against think-tanks in Europe. There, according to TTCSP, it’s in first place, out-classing Carnegie Moscow, which is at no. 2, and IMEMO at no. 4. Comparing think-tanks with an economic policy specialization, but counting worldwide, CASE slips again – to 16th. CASE Ukraine starts with the name of Jonathan Hay, whom CASE lists as a member of its founding Supervisory Board. According to a 100-page judgement issued in 2006 by US District Court Judge Douglas Woodlock in Boston, Hay is a convicted fraudster, inside-trader, self-dealer, and corrupt manipulator of US Government funds for the benefit of himself, his lover, and his friends. The judgement ordered Hay to pay a multimillion dollar penalty and restitution. His Harvard University co-conspirators, Andrei Shleifer and his wife, Nancy Zimmerman, were also convicted and fined. Harvard University, Hay’s and Shleifer’s contractor, was ordered to pay $26.5 million; Hay up to $2 million. Here is the US Government’s release, after Hay’s conviction. This also claims that Hay was “debarred” from taking pay from the US Agency for International Development (USAID) in future. The full story of Hay’s profiteering from the Russian asset sale schemes of Yegor Gaidar (below right), the short-lived proponent of shock therapy in Boris Yeltsin’s first term, and his privatization director, Anatoly Chubais (left), can be read here and here. Before his plea bargain in the Boston court, Hay reacted by threatening Moscow reporters investigating his activities. Unbeknownst to those who researched Hay’s misconduct in Russia at the time is that Hay moved on to a similar line of business in Ukrainian privatization. CASE was one of the instruments – and USAID was paying again. At present, CASE doesn’t list Hay on its current Supervisory Board. Dmitro Boyarchuk, the executive director of CASE in Kiev, explained today that there are two empty seats on the board, and that Hay has gone. Added Boyarchuk, this was two years ago. For seven years following his conviction in the US, Hay helped run CASE Ukraine. CASE annual reports also reveal that in 2005 Hay was working at CASE Ukraine on sponsorship of the UN Development Programme (UNDP) for teaching the “high-level” and “key” Ukrainian policymakers “problems of Ukraine’s economic and institutional reforms after the Orange Revolution and in the context of Ukraine’s strategic plans for Euro-Atlantic integration.” Helping hands with Hay that year were Gaidar and Anders Aslund, the current chairman of CASE’s Advisory Council. On April 25, 2013, President Putin publicly identified Hay as a CIA agent. Referring to Hay’s work on Russian asset privatization for Chubais, and the subsequent US prosecution, Putin said: “we learned today that officers of the United States’ CIA operated as consultants to Anatoly Chubais. But it is even funnier that upon returning to the US, they were prosecuted for violating their country’s laws and illegally enriching themselves in the course of privatisation in the Russian Federation. They did not have the right to do this as active CIA officers. In accordance with US law, they were not allowed to engage in any kind of commercial activity, but they couldn’t resist – it’s corruption, you see.” Note Putin’s reference to when he was briefed – April 25, 2013. According to Boyarchuk of CASE Ukraine, Hay was then supervising that organization. Funding for CASE Ukraine appears to come from governments and government banks. They include Hay’s alma mater, USAID, plus the Canadian and UK aid agencies; the European Commission and the European Bank for Reconstruction and Development; the World Bank; several Ukrainian government organs; and Freedom House, a ferociously anti-Russian think-tank based in Washington, D.C.
Marek Dabrowski is listed as the current head of the CASE Ukraine board, and one of the founders of both CASE Poland and CASE Ukraine. A Polish national, he is currently employed by CASE in Kiev; he is also a professor at the Higher School of Economics in Moscow. He currently lists himself as a member of the scientific council of the Gaidar Institute. The Gaidar think-tank in Moscow rates only one mention in the TTCSP report, trailing far behind CASE in the economic policy line-up. The CASE annual reports identify Dabrowski as one of Hay’s co-workers advising President Victor Yushchenko’s administration. The Gaidar think-tank website no longer lists Dabrowski on its scientific council. A spokesman for the think-tank claims there is no association between the two think-tanks; CASE annual reports say otherwise. The current CASE website describes Gaidar as a “partner”, but identifies the think-tank by a different name, “Institute for the Economy in Transition”. Polish sources describe CASE Poland as having been initially financed with US and European Commission money with the intention of “guiding the Ministry of Finance in Warsaw.” The Polish finance minister at the time was Leszek Balcerowicz; Dabrowski was one of Balcerowicz’s deputy ministers. Since 2011 Balcerowicz has been an honorary professor at the Higher School of Economics in Moscow, Dabrowski’s current employer. Sitting on Balcerowicz’s left taking notes, Polish sources identify Pawel Kowal, a member of the European Parliament for Poland, and an advocate for anti-Russian causes. Polish media reports and sources in Warsaw claim Kowal speaks for the Polish intelligence services. What he isn’t, the sources add, is an economist or an expert on public finance. 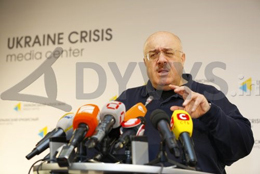 Vox Ukraine was financed by Kakha Bendukidze, the Russian business figure who entered Georgian politics in 2004. After the start of the civil war in Ukraine, he joined Poroshenko’s economic advisors, but died unexpectedly in November last year. CASE and Vox call each other partners. Another of their common ideas is the replacement of local Ukrainian officials with Anglo-Ukrainians, Ukrainian-Americans and others: “The government should bring in the government, agencies, military, etc., as many Western-leaning, Western-lived, Western-trained professionals as humanely possible, and fire, without hesitation, most or all of the old guard.” This is not only an endorsement of American appointees like the new finance minister, Natalie Jaresko, and foreign investment advisor Jaanika Merilo. It is also an advertisement for the Ukrainian academics who have signed up to the advisory councils, contributor lists, and supervisory boards of think-tanks like CASE. Here they are – Kiev minister hopefuls and candidate apparatchiki, on the Vox website. The Poles aim not to be left out of the spoils. Balcerowicz operates his own think-tank, which he calls Forum Obywatelskiego Rozwoju (FOR, Forum for Civic Development). It gathers money from foundations, corporations and banks; it’s still too small to qualify for a place on the international think-tank rankings. Other names to appear on the CASE employment roll or on CASE Ukraine boards include Wojciech Paczynski and Luca Barbone. Paczynski was for four years chief economist at the Polish Centre for Eastern Studies (Ośrodek Studiów Wschodnich, OSW); this, a Warsaw informant charges, “is widely considered as an arm of Polish intelligence studying Russia, as well as Ukraine.” The global think-tank report rates OSW the 15th “best government affiliated think-tank” – without explaining which part of the Polish government it’s tied to. After serving at OSW, there is a missing year in Pacyzynski’s curriculum vitae before he appears for work in Germany, then at the Organization for Economic Cooperation and Development (OECD). 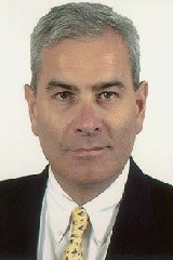 Luca Barbone is another of CASE Ukraine’s current board. An Italian native, he was educated in the US and then worked for the World Bank between 2000 and 2011. For four of those years he was the regional director for Ukraine, Belarus and Moldova, based in Kiev. Since his exit from the World Bank, he was employed by CASE Poland. His second wife, a Pole, was an economist working on her homeland at the World Bank. They now call Washington home. If Vox Ukraine manages a summons to Kiev, with a line of US budget money to employ him at the level to which he is accustomed, Barbone is ready to travel. Through CASE and FOR, Balerowicz has been supporting the work of Simeon Djankov, who received the Russian Government appointment of Rector of the New Economic School in October 2013. A Bulgarian as well as US citizen, Djankov won 3rd place in Bulgaria’s annual “Most Successful Politician” in 2009; 4th place in 2010. He was also deputy prime minister and finance minister of that country until 2013. Djankov didn’t mention to his Moscow interviewer that his Russian job is part-time; and that he is keeping two of his paid US jobs – one at Harvard University, and one at the Peterson International Institute of Economics in Washington. Peterson calls Djankov one of its “senior research staff”. Last November, Djankov released one of his new books, a work entitled “The Great Rebirth: Lessons from the Victory of Capitalism over Communism”. 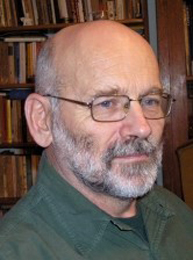 Published and paid for by Peterson, and co-edited by another member of the same think-tank, Anders Aslund, Djankov wrote the summary chapters, as well as an essay on Bulgaria. Aslund wrote on Russia, while Balcerowicz authored the Poland chapter. 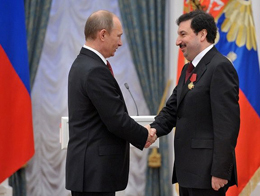 On Georgia, the writers were Bendukidze and ex-president Mikheil Saakashvili. Peterson is one of two Washington think-tanks financed each year by Ukrainian oligarch, Victor Pinchuk (right), whose anti-Russian operations can be followed here. 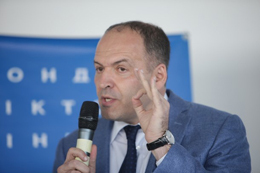 In exchange for an annual cash deposit, Pinchuk occupies a seat on the think-tank’s board of directors. The Pinchuk stipend also pays for Aslund, a public advocate of regime change in Russia. In addition to Djankov (below, left), Peterson also employs Djankov’s wife, Caroline Freund (below right). In Moscow Djankov was asked three questions: Does he consider that CASE is independent on policy issues involving Russia, especially the Ukraine conflict? Has he ever, or has he recently advised CASE Poland and CASE Ukraine not to pursue an anti-Russian, regime-change policy? Does he think his Russian roles conflict with his association with such a think-tank as CASE? 28 of the report. Mau isn’t exactly identified as Russian. His title, according to CASE, is “Rector of the Academy of Public Economy”. Without a location. In fact, since 2002 Mau has been the state-appointed Rector of the Presidential Academy of National Economy and Public Administration; a member of the Economic Council Presidium appointed by Putin in October 2013; and in 2012 recipient of the Order for Services to the Fatherland IV degree. In 2011 he became a member of the Gazprom board of directors. Mau was asked to clarify his relationship with CASE and to say if he believes there is a conflict of policy or interest in his association. Through a spokesman, Mau responded: “Vladimir Alexandrovich is not sure, but he strongly doubts that he is a member of this organization. Is it possible to send us any confirmation links of this fact.” Following the confirmation of the CASE appointment, there has been no reply. This entry was posted in Banana republic, Guest Post, Legal, Politics, Privatization, Ridiculously obvious scams, Russia on February 4, 2015 by Yves Smith. Can anyone recommend the definitive book length treatment of this whole situation/era? How about Otto Friedrich’s ‘Before the Deluge’: A portrait of Berlin in the 1920’s. I mean the Harvard Boys 1990s. C.V. Wedgwood, Thirty Years War. She has a new one out 2014:’Unaccountable’. Those comedians, unfortunately, caused the death of thousands of (mostly elderly) Russians who committed suicide out of desperation as a result of the Harvard Boys’ financial destruction of their lives. I don’t know of any definitive treatment of this specific era, but I would recommend taking a look at F. S. Saunders’ “Who Paid the Piper” which is about how the CIA funded numerous literary magazines, artists, and writers in a bid to subtly slant the ideology of the left away from communism during the height of the cold war. While it does not bear directly on this situation, it is indicative of the lengths to which the government has gone in previous efforts to subvert and co-opt the intelligentsia. For a historical overview about some background on related US deep state actions and policies, see J.T. Gatto’s “An Underground History of American Education”. There is extended discussion of how and why the US arrived at the current structure. Stephen Cohen’s “Failed Crusade,” Janine Wedel’s “Collision and Collusion,” and “eXile,” by Mark Ames and Matt Taibbi. “Bloodlands: Europe Between Hitler and Stalin”, by Timothy Snyder. It does not deal with the current crisis, but provides insight into the distrust and hostility that persists between Russia and its neighbors to the present day. You would think that “plausible deniability” would involve not leaving your fingerprints and business cards all over things. I guess “Manifest Destiny on Steroids” absolves them all … or at least they hope so. Somehow, I suspect Putin’s Russia (and friends) will be less easily wiped out than the American Indigenous Tribes. At this point i am unsure if Goebbels methods were crude, or sophisticated compared to current ones. Much of propaganda relies on first impressions. For example, I always thought Obama was banality personified, an empty suit, and so forth not interested in solving problems. Around his speech on “race”, I heard a weird “fathe r knows best” vibel For the people who believed he was the great orator of our day, they have to explain his behavior in a bizarre way because the one thing people hate more than cons and conmen is BEING CONNED. There are people who believe the Bakers were railroaded because they can’t be conned. I do blame visual mediums such as television as opposed to written word. For example, the “I have a Dream” speech is the MLK version of banality and temerity personified. Virtual anything else he said or wrote is mind blowing or enlightening even in our somewhat post racial society, but everyone loves the speech because it’s how we collectively saw MLK. In the MLK situation, it’s not a con, but society remembers what was televised. No one remembers Joe Lieberman registering black voters in the 1961 South because it wasn’t on TV. The best thing that man ever did has never come up because except for the people he know we don’t see them. I have better than 20/10 vision (the chart says 20/5), and it occurred to me, I don’t see anyone like the rest of you. To a great extent, the visual nature of our media is a problem. Combined with not wanting to be conned, we fall for what we see. In fairness, I’d say: “Think-Tank == Squillionaire propaganda bureau and lobbying organization”. Not ALL are right-wing. It just feels that way most of the time. Summers actually resigned BEFORE the vote of no confidence, when it was obvious that he would lose it. he resigned so that the vote would NOT have to take place. Harvard’s defense was to be that on balance, Hay, Schleifer etc HELPED Russia. The federal prosecutor in charge of the case against Harvard phoned me and asked me to arrange to bring over Russians who would describe how HIID actually hurt Russia. We were all set to go, when Harvard settled out of court and pid the fine, rather than trying to defend the indefensible. The British Empire was built with control of local leadership rather than, say, the Roman Empire’s mass movements of populations or the Mongol Empire’s genocide and colonization. The American Empire seems to be the same playbook. Of course, the British Empire bled England dry in the end. Creating failed states through military, diplomatic, and financial means is a tactic, not a strategy. In the end, the plutocrat’s empire will bleed us dry, too. It was called taking the chief bandits and making them chiefs of police. I once read about an economic analysis of the costs to France of the French Indochina colonization effort that began in the late 18th century to its end in 1955. It was a net financial loss. Of course, many French investors made huge profits, but the costs to France itself was always negative. It seems the US imperial efforts are the same. Some people among the 1% are making out well, but the costs of the whole effort are being paid by the US taxpayer. This also brings to mind an interesting quip I heard during the height of the American war against Vietnam (i.e. the former French Indochina) when it reported that it cost the US about $200,000 (in 1965 dollars) to kill one vietcong. Someone asked: Wouldn’t it be cheaper to send them all to Harvard? Much of the British Empire was also a net loss, particularly the smaller African colonies. In discussing the BE you always have to distinguish between India and everything else. And there was also the “public cost, private profit” factor which applied to British as well as French colonies and which makes calculation of overall profit/loss almost impossible. For the non-Indian part of the BE, J.A.Hobson’s “Imperialism: A Study” remains valuable. practical implementation of MMT I’d believe. It seems our elites believe in MMT. Not surprisingly they don’t like it for the masses. Throughout the glory days of the British Empire, 1815 – 1945, the British people were the most highly taxed in Europe and North America and lived in rather squalid housing. What we did get was some uplifting imperial poetry and a few fine songs and parliamentary speeches. It seems to have been enough. So get rid of the corrupt Ukrainian looters and replace them with corrupt Western looters. Well that suggestion should finish off Ukraine as a failed state at an accelerated pace. I wonder how many of the corrupt Western looters will be prosecuted? Djankov is back too, I see. He is the undead, surfacing everywhere there’s a bit of carrion to be picked off the bones. 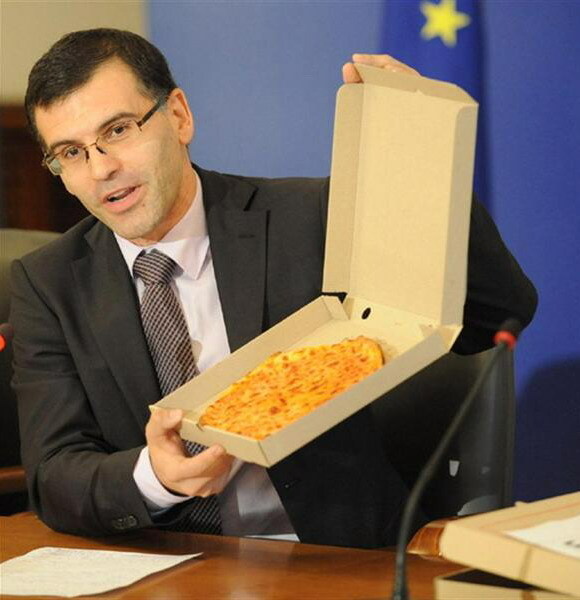 Last time around he paraded as the Bulgarian finance minister (a self-described US citizen first and foremost, thus making him the forerunner of Natalie Jaresko), describing his first budget as “a small vegetarian pizza”. That’s what a smiling sociopath looks like, that pic. Not even cat food for them useless pensioners, and austerity program to put Greece’s to shame. Djankov had been “recommended” to the PM-elect Borissov during his visit in Washington DC prior to taking office in 2009. Djankov and the rest of the austerity government were booted out in a wave of street demonstrations and fighting two years ago this month. Like a true undead though he is back. Now Djankov will apparently be lending his practical expertise to destroy what little is left in Ukraine. All of the foregoing demonstrates how the US installs stooges in high places in the colonies, yet some still blather on about how the coup in Ukraine was 100% the work of glorious Ukie banderites, with the US as nothing more than a passive observer. Yeah right. It is US funded network of think tanks, NGOs, and co-opted locals who do the dirty work while the US brays about “democracy” and “freedum” to provide the straight-man cover for it’s colonial conquests. It bought us another tinpot fool to build military fortunes on in Putin, though (we like to pay big to buy our problems). Unfortunately, some of these guys come back to bite you in the a**. See Saudi kings looking to assassinate our leaders in this morning’s paper of record. Eight hundred-plus military bases we’ve got around the world–anyone who wants to tell me that Obama has been “progressive” in any way needs to explain why even questioning our adventurism has stopped on the US liberal left since he took office. Dems just feel a little more entitled to wrap THEMselves in the flag. Hey, gay people have made a little welcome progress. The above post is nominated for today’s verbal salad award. Anglo-american neo liberal capitalism with its thieves and liars is bad. Russian neo liberal capitalism and its thieves and liars is worse. Rational Ukrainian capitalists, Ukrainian bourgeoisie, Ukrainian intellectuals, choose the lesser evil. Ukrainian workers and taxi drivers dream of a Ukraine like Spain Portugal or Greece where they go to work. I am not aware of Greeks or Spaniards or Portuguese flocking in droves to Kyiv looking for work. They migrate to the belly of the beast — New York. Some perspective please Mr. Helmer. Stunning report. I am grateful, but stunned. I agree. Helmer is fabulous. All of this is quite interesting, as far is it goes, but describing Hay as “the man who wrecked Russia” is to engage in wild exaggeration. The nefarious activities of Hay, Shleifer, Summers, Harvard, etc., involved hundreds of millions, not tens of billions. Even if the Harvard project had conformed to the highest ethical standards, at most it would have meant that a few mutual funds would have had a better pedigree, and maybe Russia generally would have had a somewhat better capital market infrastructure. Although the Clinton Administration should have handled Russia’s transition better, the U.S. is under no obligation to provide a Marshall Plan to all of its defeated rivals. I beg to differ. 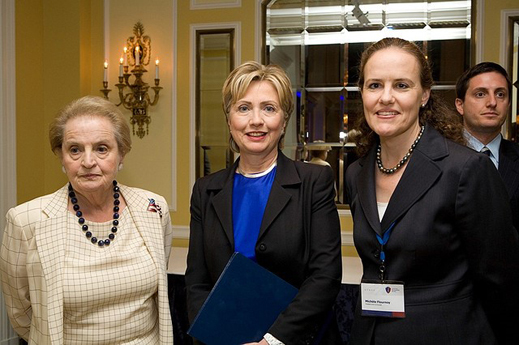 Harvard’s Russia Project provided critical intellectual legitimacy for the looting. It enabled and perpetuated it. The fact that Hay and Schliefer were inefficient looters simply makes them no different than bank CDO traders who merely earned millions while playing a linchpin role in a global financial crisis, greatly amplifying the damage of subprime losses and concentrating them at fragile, systemically important financial institutions. The daunting task was further complicated by the fact that a portion of the economy- nobody knew how much- had already been privatized in a de facto sense: in the confusion of Perestroika… a number of senior government bureaucrats, managers of state owned factories and farms, had been allowed to transfer public assets to themselves and their families. Some of these transfers verge on “theft and embezzlement”… but it was too late to reverse them, and the real problem… “has been the system itself, complete ambiguity around property rights, absolute lack of accountability”. Every country has its “1%”. The commisars that had overseen the failed communist experiment hardly needed lessons from American neoliberals on how to exploit their own populace. The lessson they did learn is that if you paid lip service to “democracy”, you could proceed directly back to oligarchy. The hopes of those Ukrainians who aspire to become part of Europe rather than remain a Russian backwater should not be dismissed because American neoliberals are involved in the effort. Thank you very much for shining the light on this, Yves. The article you linked was fascinating, and this is deeply worrying. My own small liberal arts college started down the mire-strewn road the year I graduated (in ’62) promoting seminars for politicians – I do believe that was the birth of the think tank concept. It’s an awful convergence, somewhat similar to U of California affiliating itself with Los Alamos. Didn’t like it then; hate it now. 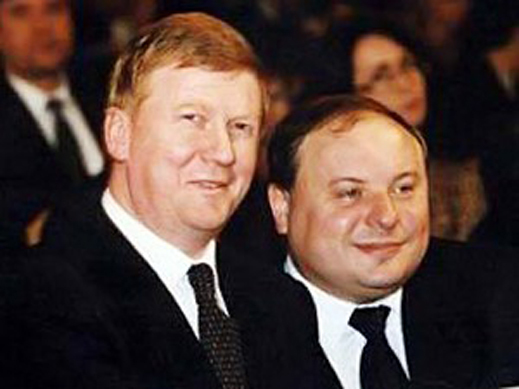 The name Anatoly Chubais looks a lot like Ahmed Chalabi. The attacks on CASE seem overblown and hysterical. The level of economic and political science research at the end of the communist era were abysmal. CASE is one of the institutions that stepped into that vacuum and has provided high quality research from a central European point of view. Readers may take a look at the CASE website and read some of their working papers to come to their own conclusions. Any research institutions or university needs to raise funds to keep the doors open. Fundraising involves making contacts with people with resources and connections. Perhaps the author doesn’t like some of those people involving in their fund raising. Perhaps the author doesn’t like Russians or those teaching at the New Economic School (NES). Given that the past Rector of NES fled after conflicts with Putin, it is hardly clear that NES faculty are automatically shills for the Russian government. If the author thinks the research produced by CASE is slanted, then he should cite specific pieces. The glaring absence of such specifics speaks for itself. Your remark on its face comes pretty close to proving that you are close to, if not part of CASE, and have never read this site before, which is confirmed by the fact that you are a newbie to our comments section. This site gets regularly criticized by some readers as having a pro-Russia bias because we are opposed to US adventurism in Ukraine, so it is comical that you try to charge us with being anti-Russian. And I also must note you do not deny any of the specific observations made about CASE and its employment of Hay, who is famously and fabulously corrupt. Instead, we get general hand-waving of about the value of think tanks and the sometimes ugly things they need to do to raise money. This is not about CASE’s research, so your mention of that is a straw man. As you effectively admit, what a think tank does goes well beyond its published research. Their core product is the de facto lobbying they do, which goes well beyond what they write. Conflict of interest isn’t a concept, let alone a standard, that you accept, except to accuse those who happen to take notice of theirs. And here you are laughably off base in trying that line of argument. The economist Jeffrey Sachs rationalizes his position in Poland’s history here with his role as “adviser” and lone ranger of shock therapy to Poland’s transitional moment. The Neoconservative turn in Poland is largely a correlate to the privatizing liberalization schemes largely put into play by Sachs and his collaborative version of political economic creative destruction. Unfortunately the creation seems to be an increasingly political society compromised by containment politics and Western finances that buy the support. Meanwhile, the destruction seems to have been the solidarity movement and traditional movements that brought Democracy out from tyranny of another sort.